It seems fitting, then, that one of my colleagues at Passaic High School suggested an afternoon of baking together after exams one day. He wanted to make tiramisu, and we went back and forth on what twist to add, settling on switching out the traditional brandy with Frangelico to make it hazelnut and creating a Nutella sauce to drizzle on top. 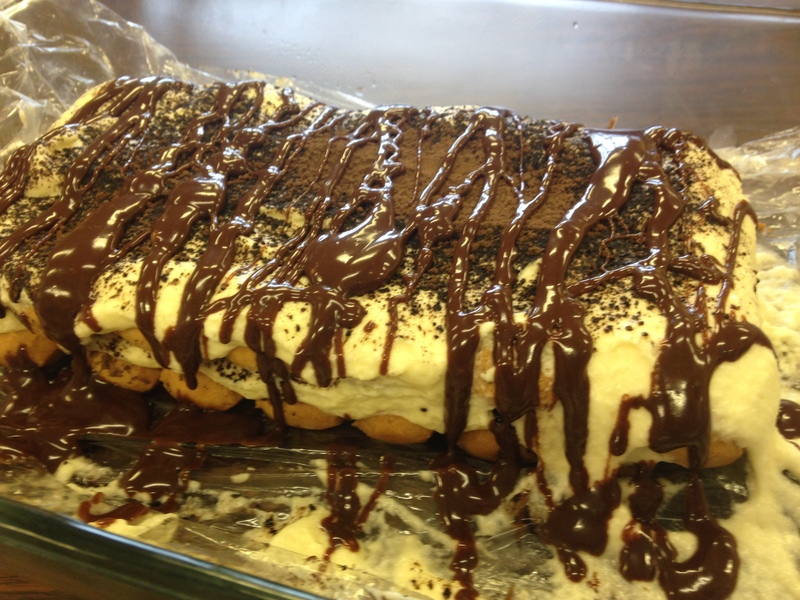 This was the last baked good I brought into Passaic, and I can proudly say that the first loaf (Is that what you would call a tiramisu? 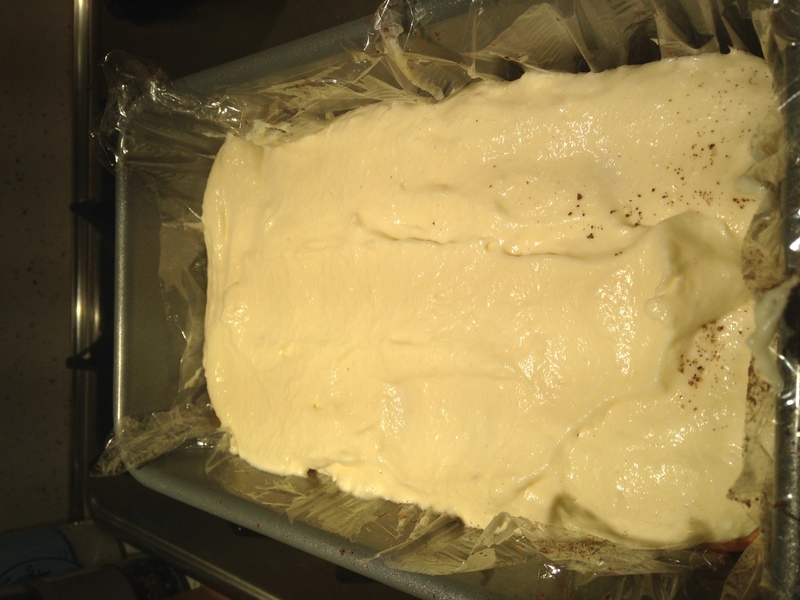 We made it in a loaf pan…) was gone before homeroom was over. It was that good. 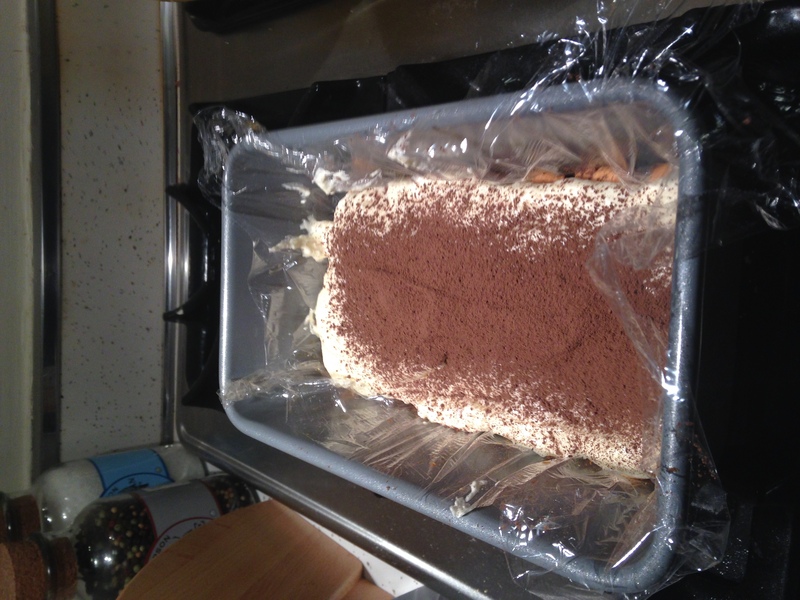 I had never made tiramisu, so I was surprised at just how easy such a fancy dessert can be. Really, it’s kind of a stepped-up trifle, with layers of different desserts put together. The only complicated part is making the cream layer – the rest is just a matter of putting one on top of the other. So, to make the cream, you will start by combining the three egg yolks, one tablespoon of the coffee, sugar, and Frangelico in a large bowl. 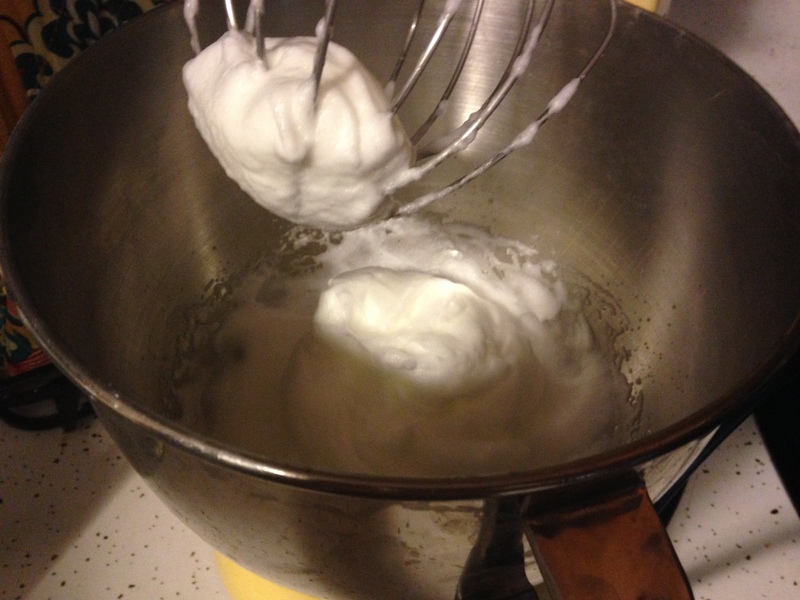 Beat using a hand mixer on medium speed for 2 to 3 minutes or until thickens. 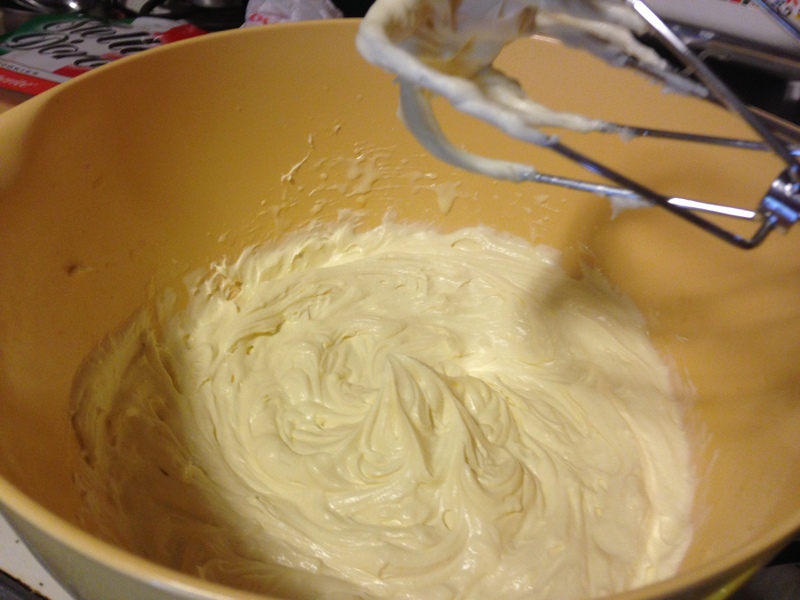 Next, add the mascarpone and beat 3 to 5 more minutes until smooth. Set aside. 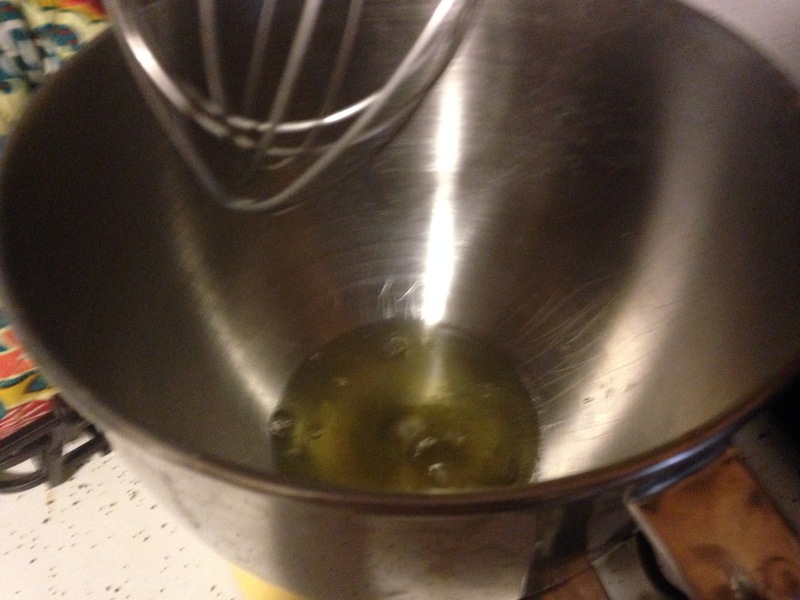 In a stand mixer, beat the egg whites and a pinch of sugar using the whisk attachment at medium high speed until stiff peaks form. 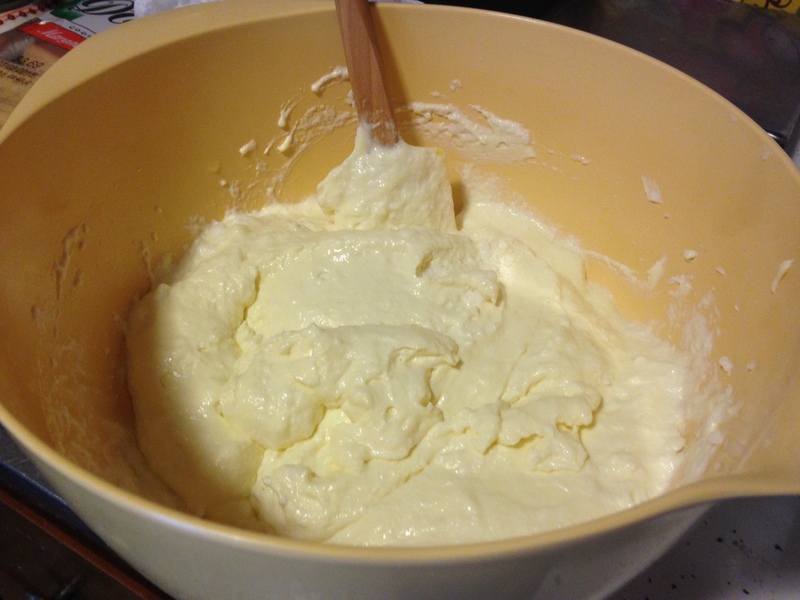 Fold the egg whites into the mascarpone mixture gently, using a rubber spatula. And that’s about it in terms of difficult stuff! 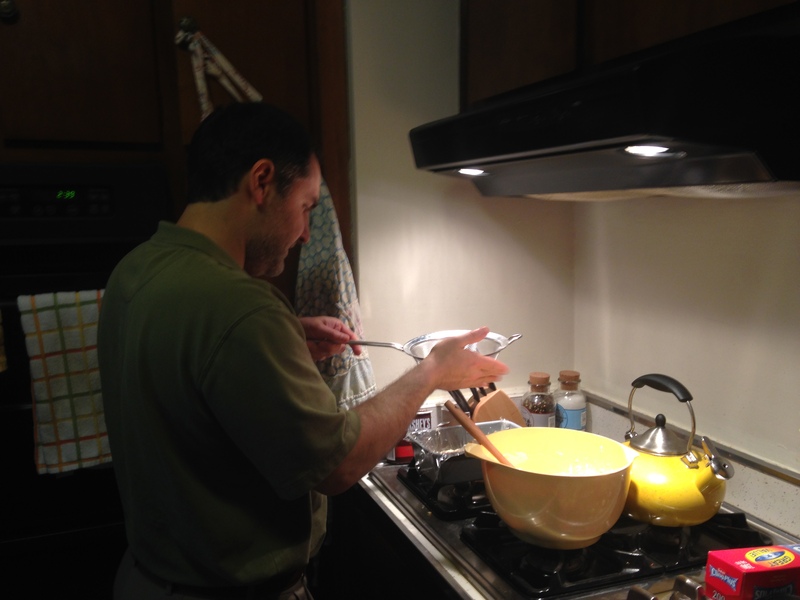 Really just a matter of making sure the egg whites get to stiff peaks and that you are gentle with the folding in process. From here on out, it’s just your basic trifle. 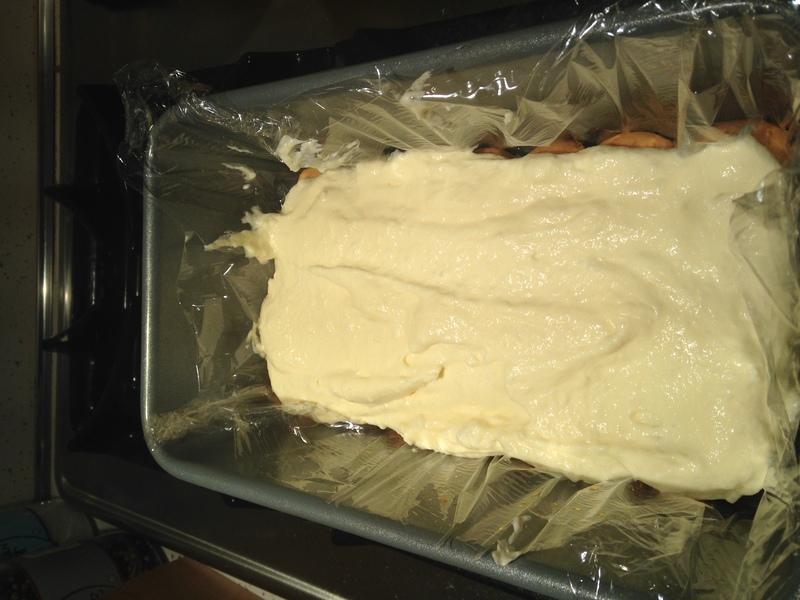 First, line two loaf pans with plastic wrap. This will make it easier to remove the tiramisu for serving. Then, pour the remaining coffee into a shallow dish. A pie plate works well. Dip the ladyfingers into the coffee, submerging both sides, before placing in a single layer along the bottom of the loaf pan. Spread the mascarpone mixture over the top. 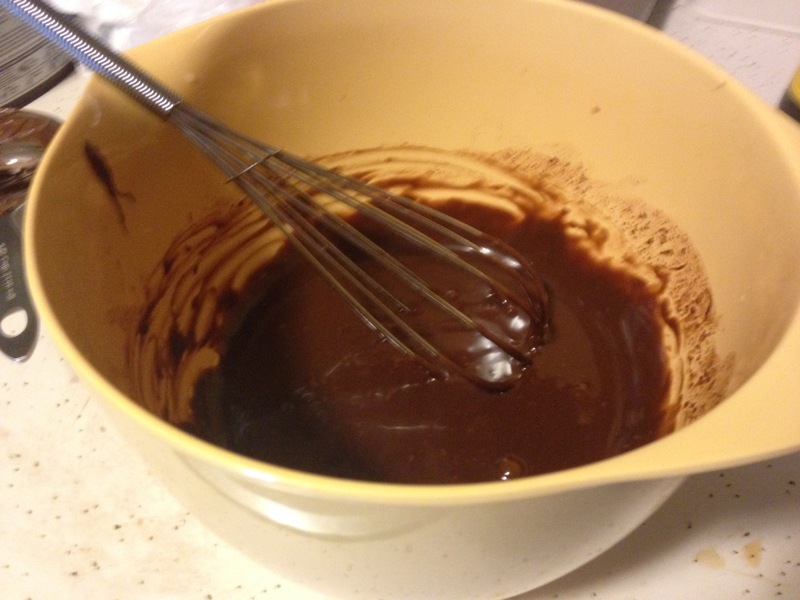 Then, using a fine mesh sieve, sprinkle cocoa powder over the mascarpone. Peter is demonstrating exceptional technique here: Repeat with another layer of ladyfingers drenched in coffee, mascarpone, and cocoa powder. Cover with plastic wrap and refrigerate overnight. We actually froze one and refrigerated the other – either method works. The frozen one just has to thaw a bit before serving, while the refrigerated one can be served immediately. Now, the Nutella finishing sauce is one of those things that is so easy to make that I have no idea why I never thought of it before. All you do is whisk together the Nutella with the milk and Frangelico until smooth. When you’re ready to serve, just remove from pan and drizzle with the sauce. 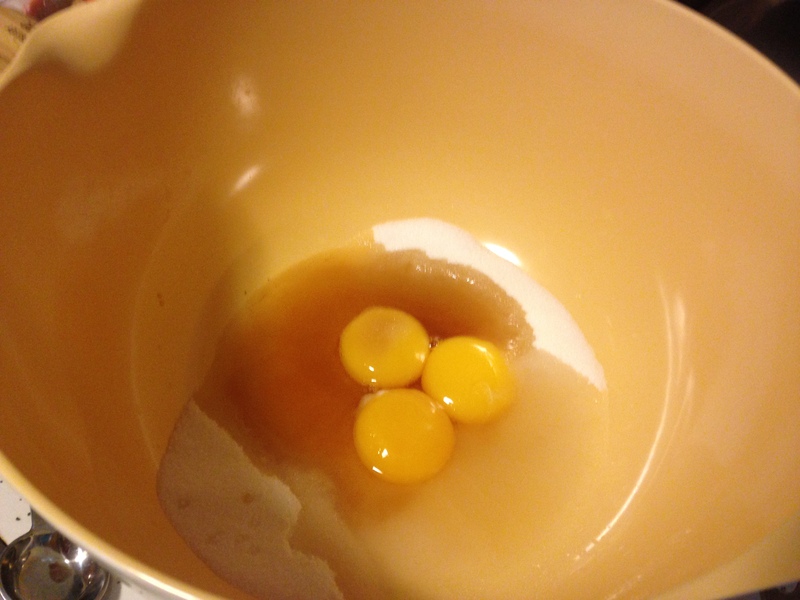 Combine the egg yolks, 1 tablespoon coffee, sugar, and 3 1/2 tablespoons Frangelico in a large bowl. 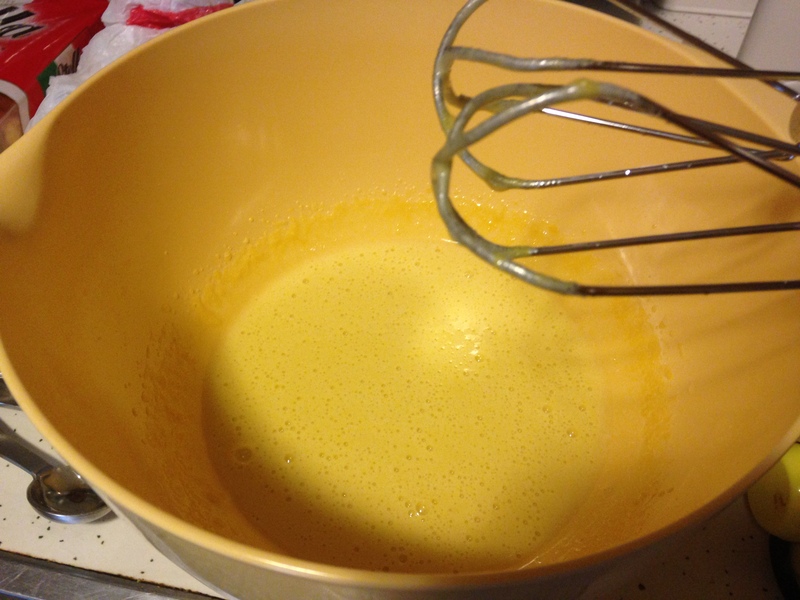 Beat on medium high speed with a hand mixer for 2 to 3 minutes, until thickened. Add mascarpone and beat an additional 3 to 5 minutes until smooth. Set aside. 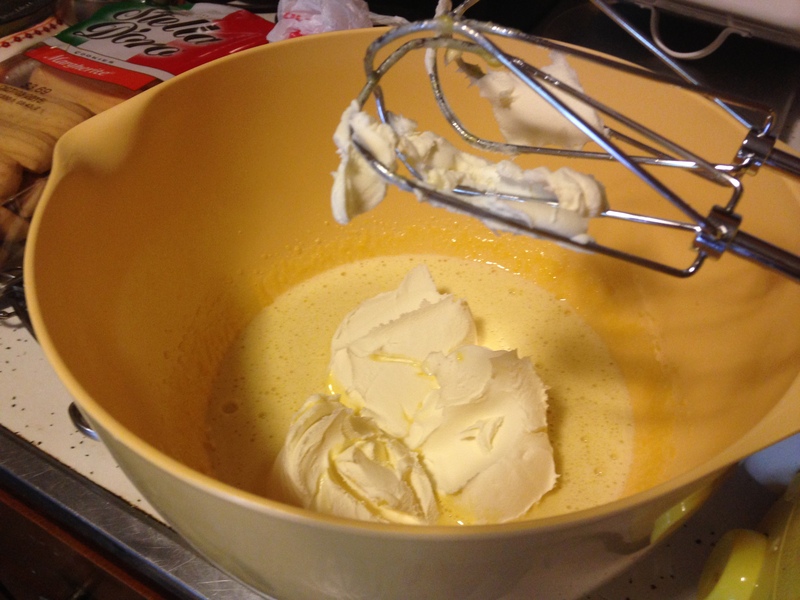 In a stand mixer fitted with the whisk attachment, beat egg whites with a pinch of sugar on medium high speed until stiff peaks form. 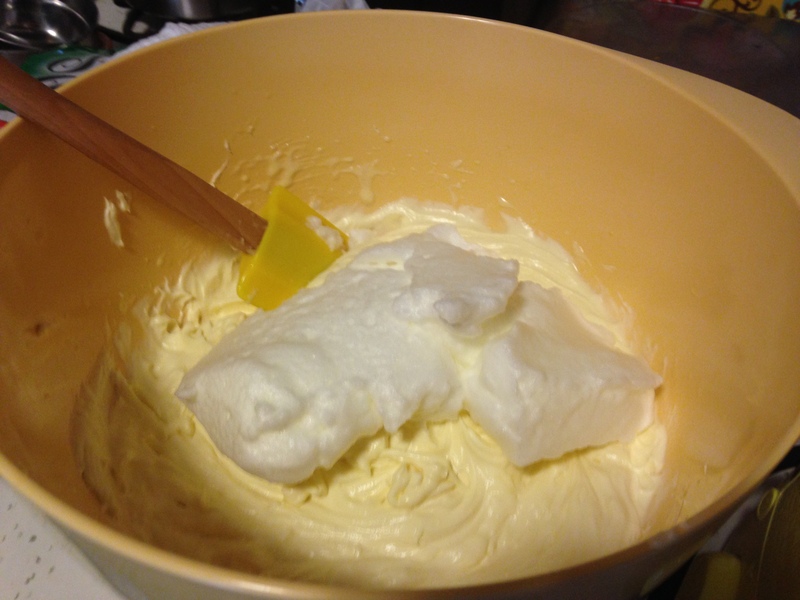 Fold egg whites into mascarpone mixture gently using a rubber spatula. Pour remaining coffee into a shallow dish. 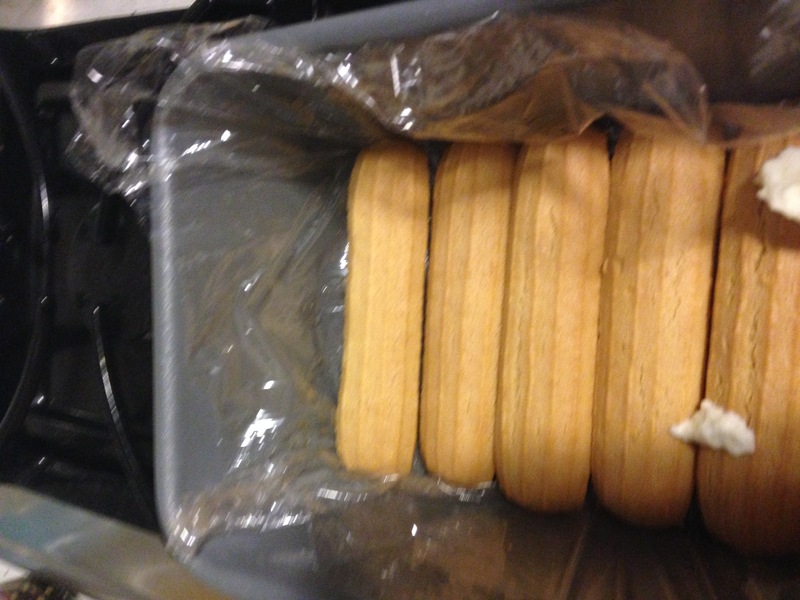 Dip ladyfingers into coffee on both sides and place in a single layer in a loaf pan lined with plastic wrap. 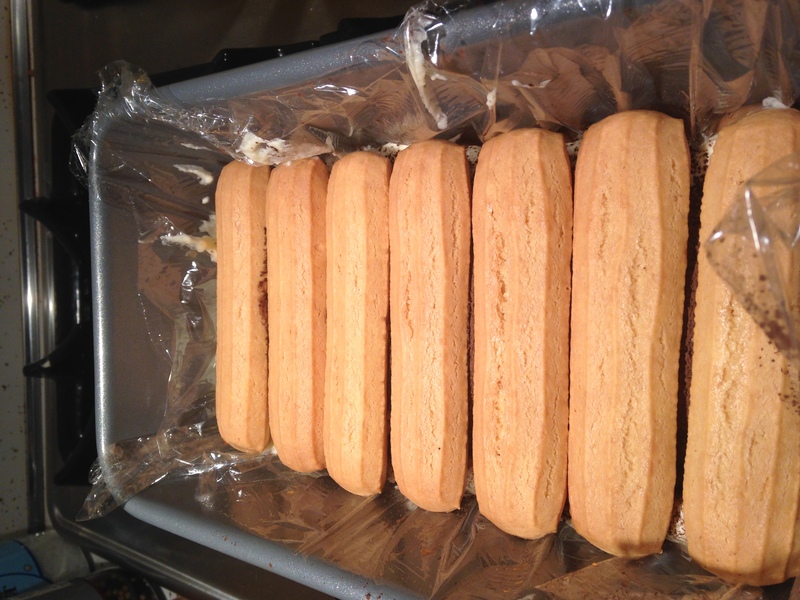 Spread mascarpone in a layer over the ladyfingers. Sprinkle with cocoa powder using a fine mesh sieve. Cover with plastic wrap and refrigerate or freeze overnight. Recipe will make two loaf pans. In a small bowl, whisk together Nutella, milk, and Frangelico until smooth. 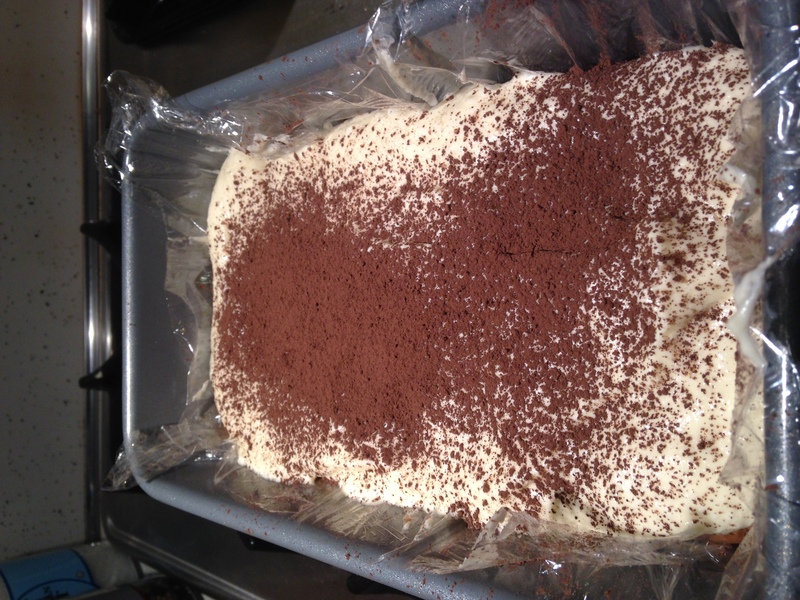 Drizzle over tiramisu just before serving. It was such a blast making this with you, Meghan. BEST OF LUCK as you move on to Harvard Law School (yes, folks, you read that right!) in the fall!